Folk singer Rose Cousins was busy Sunday night as she not only co-hosted the East Coast Music Awards but also won three categories for her latest album We Have Made A Spark. Cousins, who co-hosted the awards with David Myles, won solo recording and folk recording of the year, while she also took home the prize as songwriter of the year for Go First. 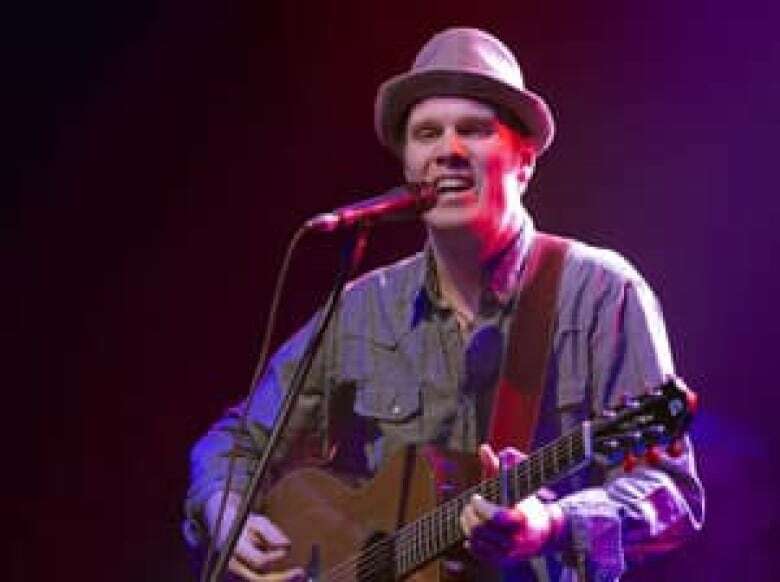 Dave Gunning of Pictou, N.S., captured the award for song of the year for These Hands moments before performing it for a packed house at the Cunard Centre in Halifax. "I didn't know the song would take on a life of its own," Gunning said after his performance, clutching his award in his hands. The album artwork for Gunning's latest release, No More Pennies, received some unusual publicity this year when the Royal Canadian Mint warned him that he faced a copyright issue because it depicted the penny. In the end, the mint relented and didn't go after him for any royalties, which came as a relief for the folk singer, who wanted to pay tribute to the demise of the copper coin. Rockers from Halifax also had a big day Sunday, with Matt Mays winning the best album award for Coyote and the Stanfields picking up two awards as they were named group of the year based on the strength of their latest release, Death and Taxes, as well as fans' choice entertainer of the year. Lead singer Jon Landry said The Stanfields were surprised by their success on Sunday night. "Music is such a tough thing, every day you're faced with challenges big and small and cap off a year and to have this feather in your cap, it makes it pretty easy to walk around with your chin a little higher," he added. Mays used his award to pay tribute to musicians who take risks to perform and do what they love. "You find yourself surrounded by people who sacrifice everything all the time," he said. "I sat around and thought about it today and I feel that those people deserve this award maybe more than I do." Meanwhile, Nova Scotia country singer George Canyon received a nod from his followers for Saddle Up, winning the fans' choice for video of the year. Canyon said in a video message that he was honoured to receive the award. "I want to send out a sincere thank you to my fans," said Canyon. The annual awards show, which is in its 25th year, also paid tribute to Canadian music legend Stompin' Tom Connors with a video montage that led to a standing ovation. The gala caps off a week-long event that attracted musicians from across the region and industry officials from around the globe. The East Coast Music Awards formed 25 years ago in a basement bar in Halifax by a small group of people hoping to draw attention to the region's musical talent. A number of awards are handed out before Sunday night's gala, which featured performances by Jimmy Rankin, Jenn Grant and Paper Lions. Among the winners that were recognized were Ben Caplan, who won the rising star award for In the Time of the Great Remembering and the Joel Plaskett Emergency, which won rock recording of the year for Scrappy Happiness. Grant's The Beautiful Wild won pop recording of the year.